Note: This post may contain affiliate links! Check our disclaimer if you need more info! This is a guide for how to budget for a family vacation. Budgeting for family travel can be mission critical when planning a trip. Let’s be real. Traveling requires money. Whether you’re loaded with dough or rubbing two nickels together hoping magic happens, everyone has a budget and staying within it can be crucial to your trip planning. 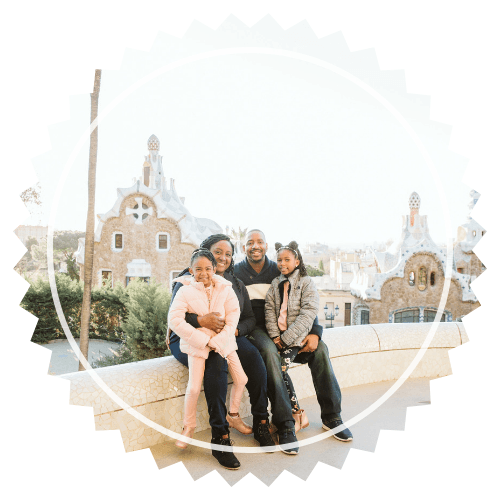 Let’s break down these expenses and discuss how to make the best of each of them when budgeting for a family vacation. For the sake of the post we will focus on international travel but really this can be applied to any type of trip. We define the basics as the things you absolutely have to have in order to have a trip. Don’t go overboard with this one when figuring out how to budget for a family vacation. If you add everything to the basic category, you’re likely to overshoot your budget. What do we consider as the basics? A way to get to the place you want to visit and a place to stay during your trip. This is the biggest and most important expense. You can’t have a trip without getting to the destination, right? Airfare, especially for international destinations, can be very expensive. Even more so when you consider that you are purchasing tickets for an entire family. Look for a discount airfare site for your city [Houston folks, check out Escape Houston] and subscribe to their e-mail alerts. You can also set up airfare alerts on websites like All the Flight Deals to only get notifications for specific origins and destinations. We finalize the city for our trips based on finding affordable airfare. As such, this is our very first expense for a trip. To fund this part of our budget, we keep a travel fund. We contribute to this savings account throughout the year so the money is ready to go when the sale shows. We aim to keep our flight ticket prices for international flights to $500 or less for each of us. This varies based on the destination though. For example, tickets to Mexico should be $200 or less for us to consider it a deal [we live in Texas after all] but we consider $450 to Paris a steal. Also, we do not pay to select seats prior to the flight. Most airlines will ensure that a family can sit together for a flight if your kids are under a certain age. They also assign a seat to families automatically about a week prior to the flight. If it turns out to be disastrous, that is enough time for us to rectify the situation. But we try to reserve those funds for other things like our desired luxuries. If you don’t want to take that chance, no problemo! Tack that on to the budget. There are ways around this one if you are staying with family, doing a home exchange, or going to camp in nature. But if you’re not, this can still vary greatly by family. Nice accommodations is a required nicety for us but might not be for you. Our favorite booking site is Booking.com. It has a mix of hotels, aparthotels, and apartments — some that we can’t find anywhere else. It also has the most detailed pictures we’ve seen on any travel booking website. You can select the specific room/apartment type, then click the name of it to see detailed photos. Also, they tend to have the lowest prices. 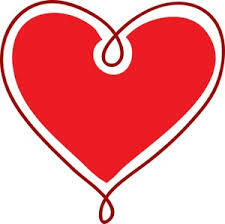 On the rare occasion where we find a cheaper price elsewhere, they have a price match guarantee. Simply send them a message using their online form and they will refund you the difference. Your booking also comes with a travel guide for your selected city. It’s surprisingly thorough and a nice item in our trip planning arsenal. Booking directly with a hotel is also worthwhile. Most of them want to avoid paying referral fees to 3rd party websites like Booking.com so they give a 5-20% discount for booking directly on their website. It usually comes with the stipulation that you sign up for their loyalty program but that is a minor step to save money. Plus, those loyalty programs can come with complimentary upgrades like free breakfast, accelerated wi-fi, etc. at check-in. If apartments are more your speed, you can use our link to save $40 on your first AirBnB rental. Be sure to check out our posts about the 5 things you should ask before booking an Airbnb first. Space to breathe can seem essential when you’re traveling with a family so these are also a great option. Necessary expenditures are things outside of the basics but are required for your trip. 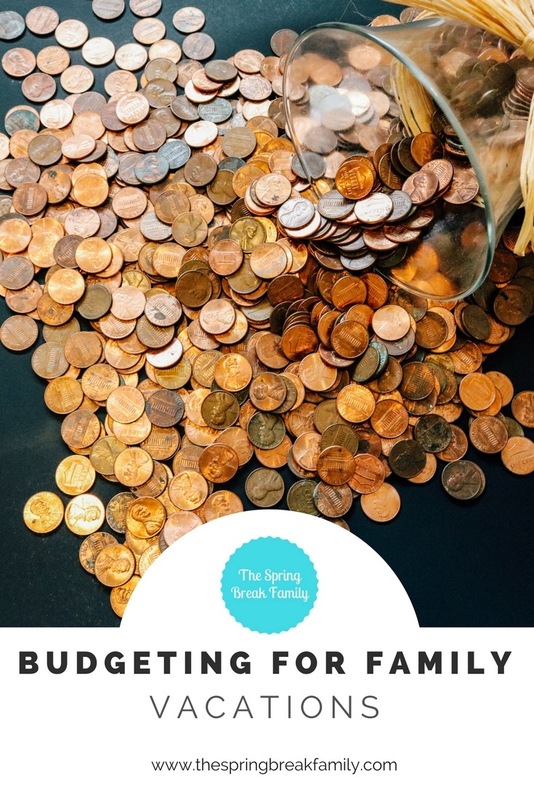 Food, transportation, and cell service are all included in this category when figuring out how to budget for a family vacation. While they aren’t the core of your trip, they are just as important. Kids eat. A lot. Or at least ours do. This can be hard a hard area to budget for. But for numbers sake, we set a target as $20 for each person. In general, the kids eat less than the adults [although they frequently test the limits on this] but we like to overshoot in this area. There’s nothing worse than running out of money towards the end of the trip and having food be a concern. [Although, hopefully you’ve set up a cushion.] Plus, sometimes you walk past a restaurant that smells so good you just have to eat there, amiright? There are ways to help this area of your budget. Bring snacks. Collect a small arsenal of food favorites from home and bring them with you in your luggage. We know we said pack light/skip the extras, but have you ever confronted a hungry toddler in a hotel room? We have and we say pack the snacks! You can also buy them locally. The brands are different — sometimes very different — but trying something new can be a fun part of the trip. But if you want a surefire thing, just bring them with you. Use Yelp. This has helped us in almost every city we’ve visited. Search for “kid friendly” restaurants “near you” and peruse the results. You can also filter based on the approximate cost. Review the menu, look for affordable options and go there. Don’t forget to Yelp a review when you’re done! Share. Do you really need 5 separate orders of fries? Do ya?? Probably not. On trips, we share. Perhaps we all order a dish and then everyone tries a little of each. Or we get 2 large fries instead of 5 small ones and split it. Take a water bottle. Water in most places is free. Before each trip, we pick up small water bottles from the dollar store and carry them with us on our excursion. We fill them up before we leave the hotel so we always have something for the girls to drink on hand. It sounds minor but this saves us a ridiculous amount of money. Eat at McDonald’s. Let’s not debate their nutritional value — you’d win that fight anyway. But instead let’s focus on what matters. Do you know how many cool points kids get at school when they say they had a Happy Meal in France. A ton. Kids love it. Plus, it is inexpensive. Whether you prefer to drive, van share, taxi, train, or walk your way to the airport you should still consider this when forming your budget. Depending on your options, it could cost a pretty penny. We prefer to drive ourselves to the airport so we include airport parking in our budget. Our favorite place to park is The Parking Spot. They have a ton of parking options [covered, uncovered, extra wide, car washed, etc] at pretty reasonable prices. My favorite part though is that they always have a coupon available. Who can turn down a good coupon? They offer a corporate discount program that provides you with a pretty good discount off the website rate so be sure to check into that as well. If you don’t want this to take up money you can spend elsewhere, have friends/family drop you off. Weigh the options and choose what fits best for your family and your budget. Whenever possible, we try to utilize public transportation. In most cities, it is easy and it feels like part of the adventure. Most importantly, it is inexpensive. Look for day or week passes — they are generally cheaper than paying a la carte. Also look for discounted youth tickets. Nothing makes us happier than kids riding free! There are some cities where mass transit isn’t an option. Either it is difficult to navigate, runs infrequently, is time consuming, or all of the above. In those cases, be sure to budget for taxi rides and Uber lifts. We try to limit this to $30 a day. Less if we can swing it. Please bear in mind this varies per city. If this budget item is a concern for you, dust off those walking shoes and get to hoofing. Walking is free! Tip: You don’t have to walk the entire way. Walk halfway then grab a taxi. We’ve done this a lot. It helps us explore without completely using up the girls’ foot power. As DJ Khaled would say, this is major key. Many cell phone carriers charge you to use your service outside of the United States. AT&T for example, charges $10/day per device with their International Day Pass. T-Mobile, on the other hand, has many options available for free. Calculate this and factor it into your budget. We made the mistake of leaving this out of the budget last year and it was a doozy when it came back around to bite us. We’re all about the luxuries so this is our favorite budget item. We split these into two categories: required and desired. Which experiences do you think would make or break your trip? What do you feel you must have or must do during your vacation? If it isn’t a basic or a necessary expenditure but you have to have it then it is a required luxury. The list of these vary per trip so there is no set amount. But we try our absolute best to fit these into the budget. If you just kinda sorta want it then it is a desired one. We only budget for these items if things are coming up roses. If we find extra money to put into the budget or save in another category, we allocate it here. Again, this varies by family and your individual needs. Not to be the bearer of bad news but things can go wrong on your trip. Very wrong. And there’s nothing worse than feeling helpless when you’re in a new place with your kids. The best way to prepare for this is to have a cash cushion in your budget. It can be hard to calculate this so choose a static amount you’re comfortable with and set it to the side. For reference, ours ranges from $200-500 depending on how many cities we are visiting. What about you? How do you budget for your family trips? Please leave a comment below! 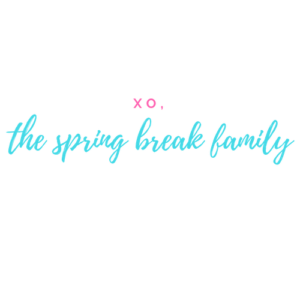 We’re the Spring Break Family – a normal, busy, working family of four that happens to be wonderfully blended and also happens to love travel. This is our place to share tips on travel, family, health, and all things related to the family. We’re so glad you’re here! Stay a while! Be the first to know family updates! Gain access to our subscriber exclusive content like trip toll reports and so much more! We are a participant in the Amazon Services LLC Associates Program, an affiliate advertising program designed to provide a means for us to earn fees by linking Amazon.com and affiliated sites. 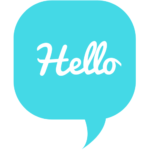 Receive subscriber exclusive content and so much more!